Week 2 Part 2! Let’s see what is left over… Envelope, Peter Parker’s Polaroids, A Scrappy Leftover Block, Disappearing Sixteen Patch, and Star and Cone. I will be going over Envelopes, Peter Parker’s Polaroid, and Disappearing Sixteen Patch. I will not be going over the others because they are either self-explanatory, or a template. I was exploring Pinterest again… As I do for at least an hour a day it seems. I saw this awesome Pin showing envelopes and a mail drop box. What an opportunity to pick some fabric to be showcased in the lining of the envelope! I drew out a design and hopefully you like it! This turned out to be a 6″x6″ block. I will have to give you the finished pieces’ sizes and you will need to add the seam allowances. I traced each piece onto trace paper and added my seam allowances from there. 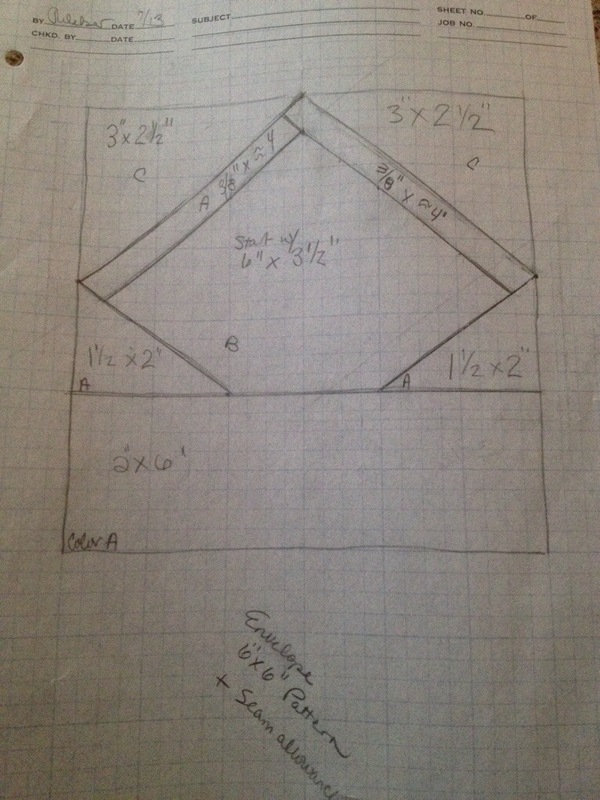 Two rectangles, 3/8″ x 4″ (this is approximate, you will need to trim it down. Sew the envelope lid strip to the back ground. 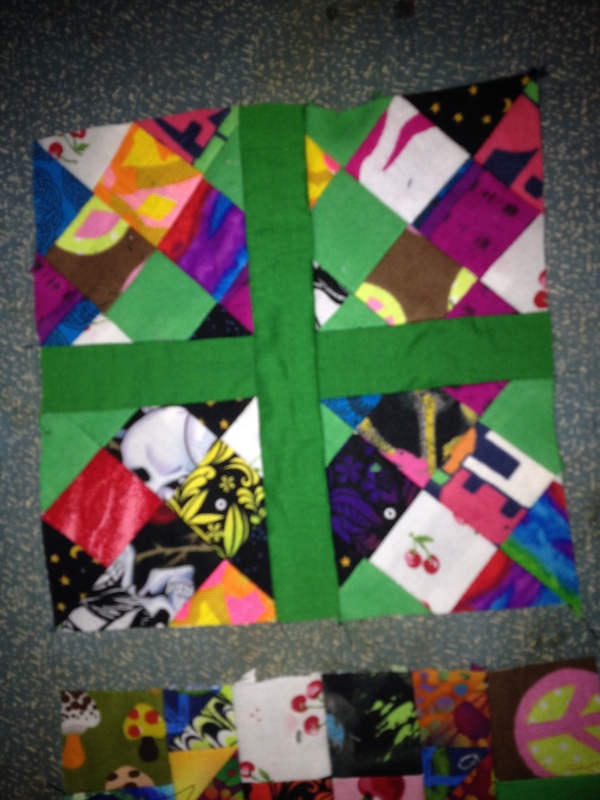 Sew the Color A triangles to the bottom corners of the new rectangle. Sew the Color A rectangle to the bottom. Optional: I added some more fabric around the envelope to make the square bigger. Its up to you. Another Pinterest inspiration. I drew up mine from what I could remember the size of a Polaroid picture is. 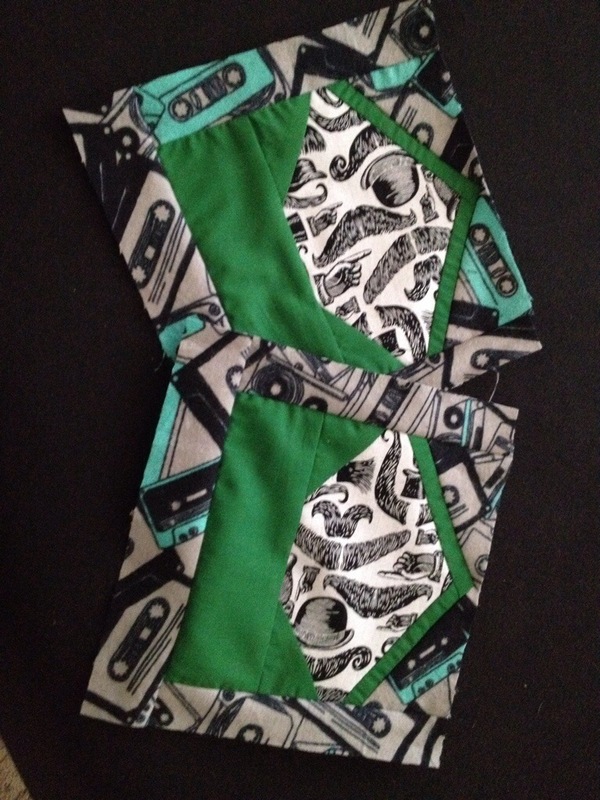 These measurements already include a 1/4″ seam allowance on each side. HINT: To increase the size of a block, take the finished block measurement, divide it into(increase)/by(decrease) the size that you want it to be. Use this new figure and multiply it by the piece by piece measurement. THEN add seam allowances. 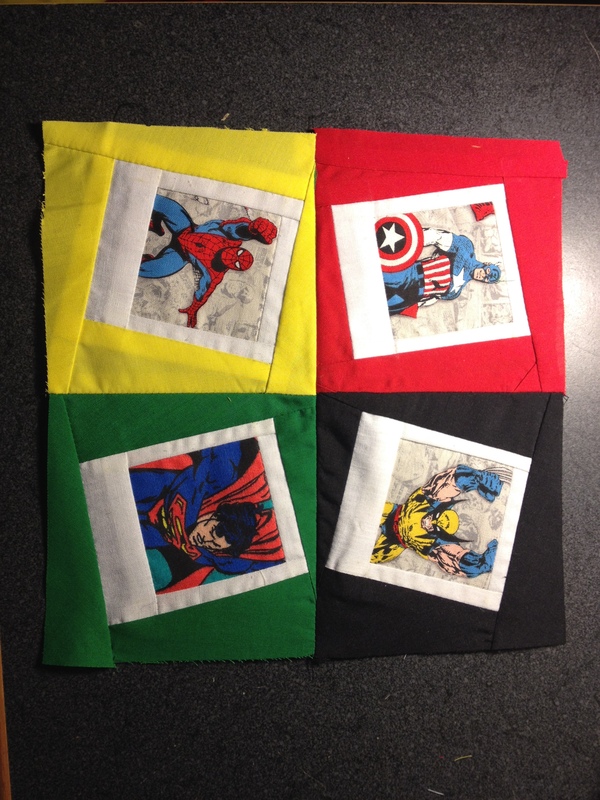 There is no measurement for this because I pieced mine together to fit an 8″ square. Decide how you are going to place the picture in your block. I tilted mine. Sew pieces of your background fabric around the picture as a border and square it off by cutting off the edges. I will link you to another post that has already done the tutorial. Note that mine has sashing in the middle because as you cut apart the 16 patch, you will lose some inches in the seam allowances.